This paper addresses the fixed-time trajectory tracking control problem of a fully actuated marine surface vehicle with full state constraints and system uncertainties. 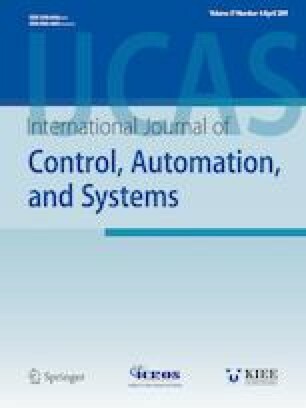 A continuous fixed-time convergence tracking controller is proposed based on fixed-time control and adding a power integrator methods, which achieves system stabilization within a finite time independent of system initial conditions. Moreover, a novel barrier Lyapunov function with a power integrator is designed to ensure the full state tracking error within the constraints. To accurately estimate the lumped disturbances of the vehicle system, a fixed-time disturbance observer is designed to guarantee the settling time of the disturbance observer bounded by a time constant independent of initial estimation errors. Finally, the proposed control scheme is proved to be fixed-time stable via fixed-time Lyapunov stability theorem and the full state constraints can never be violated. A numerical simulation is provided to illustrate the effectiveness and superiority of the proposed control scheme. Barrier Lyapunov function fixed-time control marine surface vehicle trajectory tracking. Recommended by Associate Editor Hyun Myung under the direction of Myo Taeg Lim. This work is supported by the National Natural Science Foundation of China under grant 51309062. Mingyu Fu received her Ph.D. degrees in College of Automation from Harbin Engineering University, Harbin, China, in 2005. She is currently a Professor and a Ph.D. supervisor in Harbin Engineering University. Her current research interests include vessel dynamic positioning control, automatic control of unmanned surface vehicle, and hovercraft motion control. Taiqi Wang received his B.E. degree in Automation from Harbin Engineering University, Harbin, China, in 2014. He is currently pursuing a Ph.D. degree of control science and engineering in College of Automation. His main research interests include nonlinear robust adaptive control, motion control of marine surface vessel. Chenglong Wang received his Ph.D. degree in College of Automation from Harbin Engineering University, Harbin, China, in 2009. He is currently an Associate Professor in Harbin Engineering University. His current research interests include vessel dynamic positioning control, vessel intelligent control, and artificial intelligence control.